Mexico has no shortage of beach towns for you to choose from for a sun-drenched vacation. One of the top places to visit in Mexico is the coastal city of Mazatlan, which is affectionately known as the Pearl of the Pacific. Long a favourite of surfers and expats, Mazatlan has a lot to offer travellers. Here you can explore the historic Old Town, take part in a wide variety of water sports, attend one of the biggest parties in the world, and so much more. Read on to plan your trip to this beautiful Mexican city as we share the best things to do in Mazatlan. The first item on your list of things to do in Mazatlan should definitely be a stroll along the oceanfront Malecon. This promenade stretches for several kilometers up the coast, making for a beautiful place to walk, jog, or cycle. Along the way, you’ll see several unique statues and monuments, including the iconic Fishermen Monument. Make sure you bring your camera, because this is a seriously photogenic place. Should you need some refreshments on your stroll, there are plenty of street food vendors, restaurants, cafes, and bars to choose from. You could easily spend the entire day enjoying all that the Malecon has to offer and not get bored. *If you’re visiting Puerto Vallarta, don’t forget to check out the Malecon there as well – it’s one of the best things to do in Puerto Vallarta. 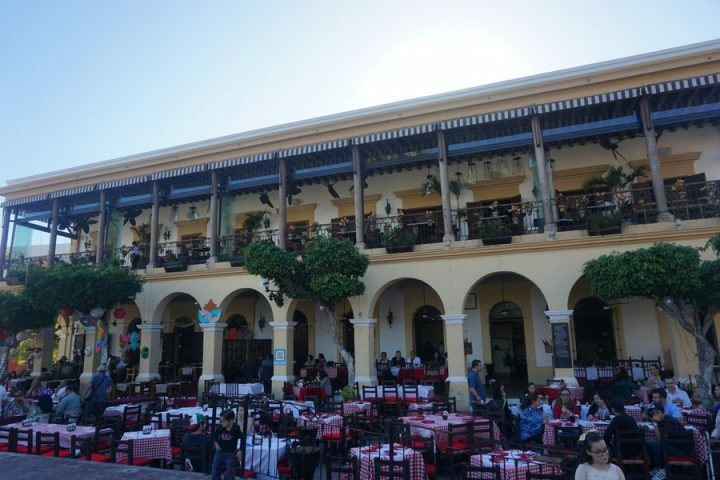 While the coast of Mazatlan is picturesque, you’ll want to be sure to explore the city’s historic centre as well. The Centro Historico (commonly called “Old Town” in English) is full of stunning architecture, tree-lined plazas, and some great museums. A excellent way to cover some serious ground in Old Town is following this self-guided walking tour. You’ll see some of the most historic buildings in the city, get to choose between a few museums, and so much more. However you decide to explore the Old Town, be sure to include a visit to the Basilica of the Immaculate Conception. It was finished back in 1899 in the Baroque-Revival style. 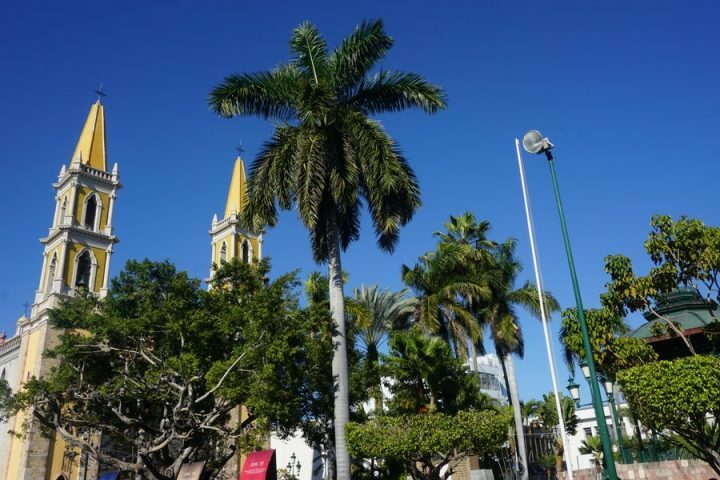 Admiring the gorgeous church is definitely one of the top things to do in Mazatlan. One interesting aspect of the basilica’s design is that it features the Star of David on stained glass windows inside. This was added as a show of thanks to a Jewish family who helped to fund the construction of the church. Click here for directions. 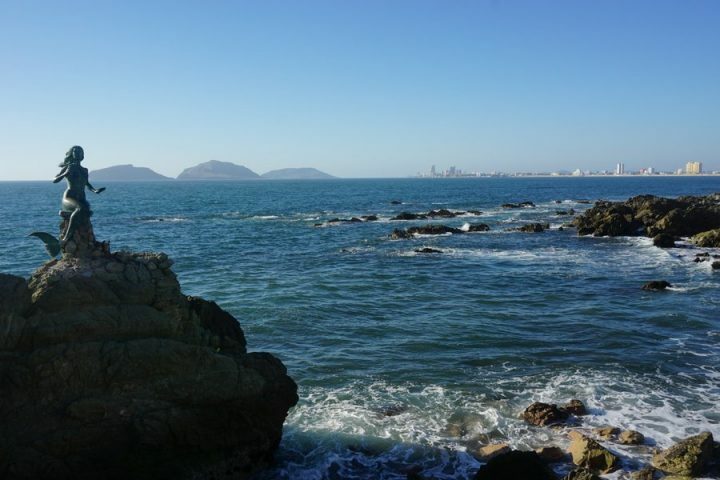 For some of the best views in Mazatlan, take a hike up to El Faro (The Lighthouse). There’s a trail leading up the hill to the lighthouse that takes about 30 to 45 minutes. Fun fact – this is actually the highest lighthouse in the world, at around 160 metres above sea level. Be sure to wear some good shoes and bring plenty of water for this hike. You’ll definitely want your camera for this one as well to snap some photos of the incredible views. Click here for directions to the lighthouse. Entrance to the lighthouse is free. What better way to cool down after a good hike than chilling out on the beach? There are several beaches in Mazatlan to choose from, including Playa Olas Altas right downtown. Just be warned that this beach (with a name meaning High Waves) isn’t the best for swimming. Up in the Zona Dorada (Gold Zone), you’ll find the bustling Playa las Gaviotas. This beach is always lively, so don’t expect peace and quiet here. It’s fun to check out for a while if you’re prepared to deal with the countless vendors. Surfers in particular love the beaches in Mazatlan, however, if you’re looking to swim in calm waters, you’ll want to check out Playa Sabalo. *Note: If you’re looking for powdery white sands and turquoise Caribbean waters, you’ll want to check out the Yucatan area of Mexico. Chilling on the best is one of the top things to do in Cancun, Playa del Carmen, Isla Mujeres, Tulum and Cozumel! One of the top things to do in Mazatlan for families is spending a day at the Mazagua Water Park. There are several different water slides here, as well as a wave pool, an artificial beach, volleyball courts and more. The park is open daily from 10AM-6PM and costs around $8 to visit. 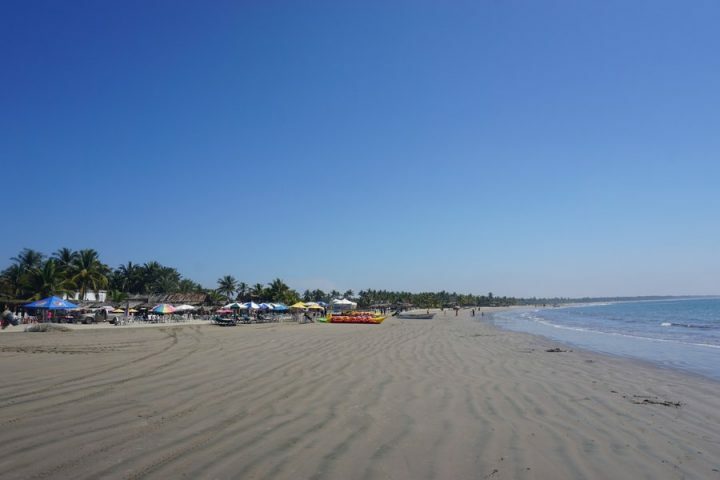 You can even make a day of it and combine a visit to Mazagua with a trip to the nearby Playa Cerritos. Click here for directions to the water park. If the hustle and bustle of the city centre gets to be too much, you can make a quick escape to Isla de la Piedra (Stone Island). It’s not really an island, but it sure feels like it. Due to the geography of the area, it would take a few hours to drive there. Instead, hop on the local ferry for the quick 5-minute ride. Once you’re on the “island,” you can chill out on the beach, go for a swim, or even try some horseback riding. There are quite a few restaurants to choose from on the beach as well, so you can stay here all day and enjoy a little escape from the city. One of the most popular things to do in Mazatlan is seeing the amazing cliff divers. Known as clavadistas, these daring men leap off a small platform high above the crashing waves. They have to time their dive very carefully so as to not hit the rocks. The cliff divers jump from a spot along the Malecon called El Clavadista. They usually dive in the afternoon, with Sunday being the busiest day. The divers work for tips from tourists who stop to watch, so be prepared to chip in a buck or two. Click here for directions. 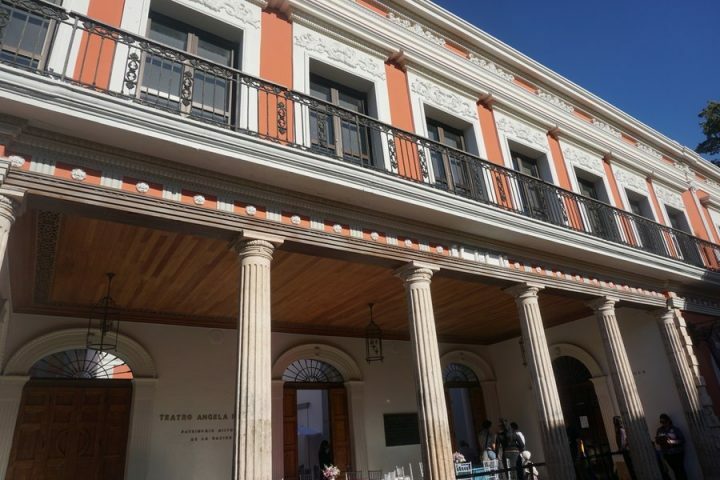 When visiting Mazatlan, you won’t want to miss out on the stunning Angela Peralta Theatre. It was opened way back in 1874 and restored in the 1980s to once again host performances. The theatre was named after a famous Mexican opera singer who tragically died as a result of a yellow fever epidemic that struck the city. If there’s not a show going on at the theatre during your stay, you can still take a tour of the building. Head here for a guide to the upcoming cultural performances in Mazatlan, most of which take place at the theatre, and many of which offer free entrance. If you’re a golfer, you’ll be happy to hear that there are a few different courses to choose from in Mazatlan. Here you’ll find the amazing Estrella del Mar, which was built on the Pacific Ocean and is consistently ranked among the top courses in all of Mexico. For 18 holes in the high season, the cost is $130, including cart rental, balls, bottle of water and a score card. Click here for more details about Estrella del Mar. Even if you’re not up for playing a full round, you can head to the Pacific Food Truck Park & Golf to hit some balls on their driving range. *Note: Playing a round of golf is also one of the top things to do in San Pancho, just outside of Puerto Vallarta. 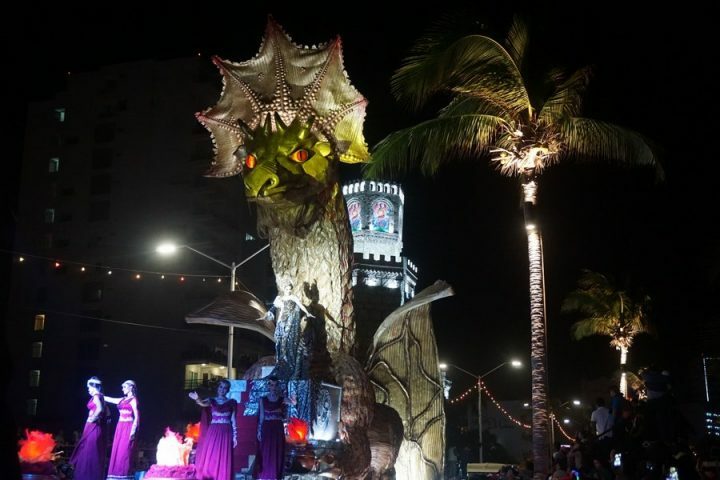 Without a doubt, one of the most fun things to do in Mazatlan is celebrating Carnaval. 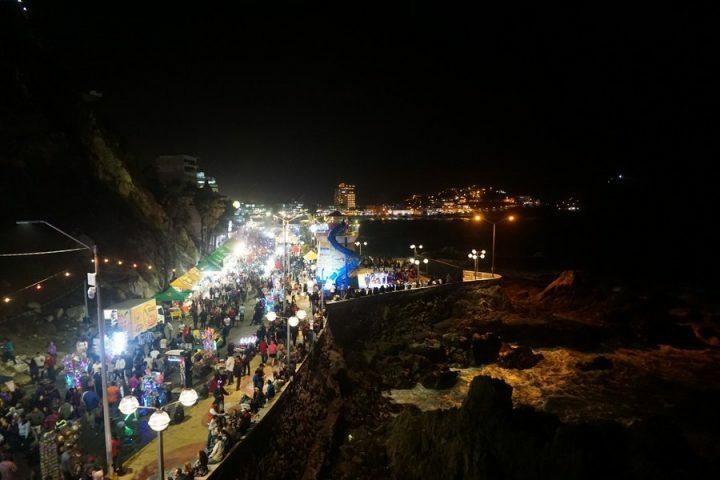 While Rio and New Orleans may get all the hype, Mazatlan throws one of the best Carnaval parties out there. During Carnaval, the Malecon is packed full of revelers. There are several stages with live bands and tons of vendors selling costumes, food, and drinks to keep the party going. There’s also a massive fireworks display and a big parade to wind down the festivities. See what Carnaval in Mazatlan looks like in our short video. Many visitors to Mazatlan enjoy taking a trip to the city’s aquarium. There are over 50 tanks here with many species that live in the Pacific Ocean off the coast of Sinaloa. Here you’ll spot sea turtles, sharks, piranhas, stingrays, and more. The aquarium is open daily from 9AM to 6:30PM and costs about $7 to visit. If you’re travelling with kids, this is definitely one of the top things to do in Mazatlan. Perhaps the best area of Old Town to hang out in is Machado Square. This tree-lined plaza is very picturesque and is a popular place for both locals and tourists to gather. There are many restaurants, cafes, and bars around the square where you can sit and watch the city go by. If you’re looking for a good part of town to stay in, finding a hotel or hostel around Machado is highly recommended. If you’re looking for more excitement than just beach-bumming, there are a few places in Mazatlan to go surfing. The most popular is Playa Bruja in the north of the city, where you can find vendors renting surfboards if you don’t have your own. This exposed beach break is good any time of year. Even better, this remote beach is usually pretty empty and is devoid of the touts that plague the bustling Gaviotas beach. Football is for sure the most popular sport in Mexico, but baseball is king here in Mazatlan. The city is home to the Venados de Mazatlan (the Mazatlan Deer), who play in the Mexican Pacific League. There’s a lot to cheer about here, as the team won the league championship as recently as 2016. In addition, major renovations just wrapped up on the stadium, which hopes to host MLB exhibition games sometime soon. Catching a ballgame is definitely one of the top things to do in Mazatlan. In this coastal city, it should come as no surprise that there’s an abundance of delicious seafood. 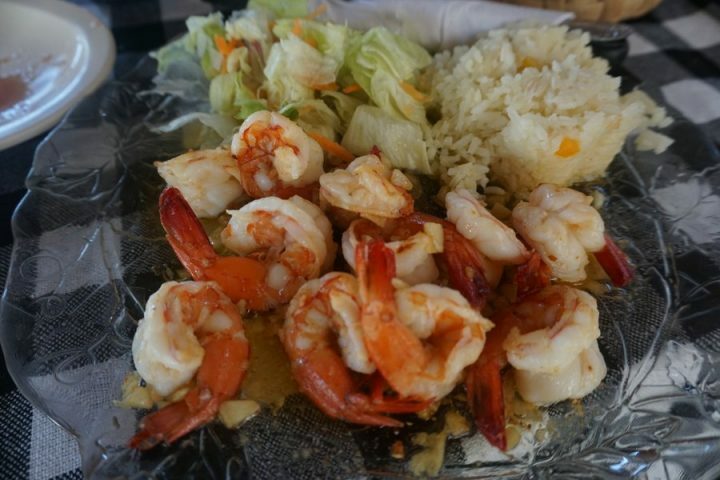 Mazatlan is known in particular for its tasty shrimp dishes. Try some shrimp pate, which is made from ground shrimp, mayonnaise, queso crema, and chipotle chilies, or dig into a plate of spicy aguachile – raw shrimp with chili peppers, lime juice, cilantro, and onion. Eating the traditional cuisine is definitely one of the top things to do in Mexico, and Mazatlan is no exception. Whether it’s a simple beachside restaurant grilling up fresh fish or a fancy restaurant in Old Town, your taste buds are in for a treat when you dine on seafood in Mazatlan. Every year, sea turtles travel hundreds of miles to their place of birth to lay eggs. Sadly, the ongoing development of coastal areas in Mexico has hurt the reproductive success of the turtles. There’s good news, though, as there are a few places in Mazatlan working to protect and conserve the turtles. If you’d like to help out with the efforts, you can join a tour to visit one of the sanctuaries in Mazatlan. Estrella del Mar and El Verde Camacho are your best bets for helping out with turtle conservation in Mazatlan. As you can see, there are plenty of fun things to do in Mazatlan. However you choose to spend your days here, be sure to take some time to slow down, chill out, and catch a beautiful sunset on the beach. 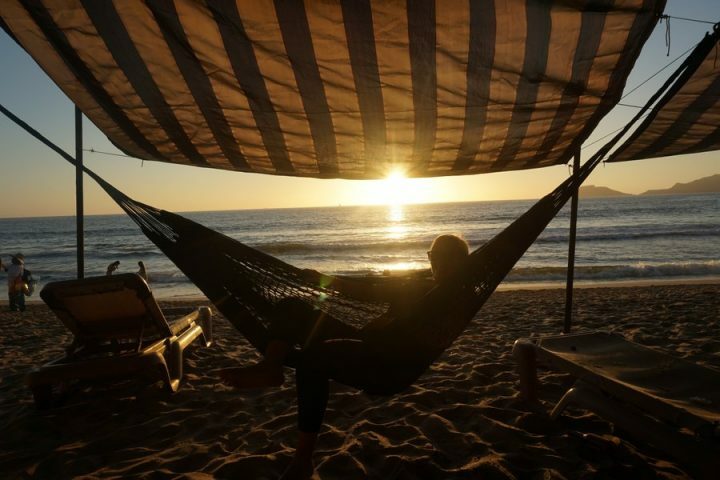 There are plenty of simple beach bars where you can use a lounger or even swing in a hammock as you watch the sun disappear on the horizon. Crack an ice-cold cervesa and enjoy the show! From December to April, huge pods of humpback whales make their way past Mazatlan. Joining a tour to get up close to these majestic creatures is sure to be one of your favourite things to do in Mazatlan. In addition to whale watching adventures, it’s also possible to swim with dolphins in the wild. There are quite a few tour operators running both types of trips, with Onca Explorations coming highly recommended. *Note: Seeing whales in the wild is also one of the top things to do in Cabo San Lucas! Surfing isn’t the only water sport on offer in Mazatlan. You can also enjoy scuba diving, snorkeling, parasailing, kayaking, jet skiing, fishing – the list goes on and on. If you’re into sports fishing, you’ll be happy to know that 7 of the 9 species reserved for sports fishing can be caught in Mazatlan. With so many options, you can spend the majority of your trip in Mazatlan out in the water and do something different every day. Mazatlan is a city that knows how to party, plain and simple. 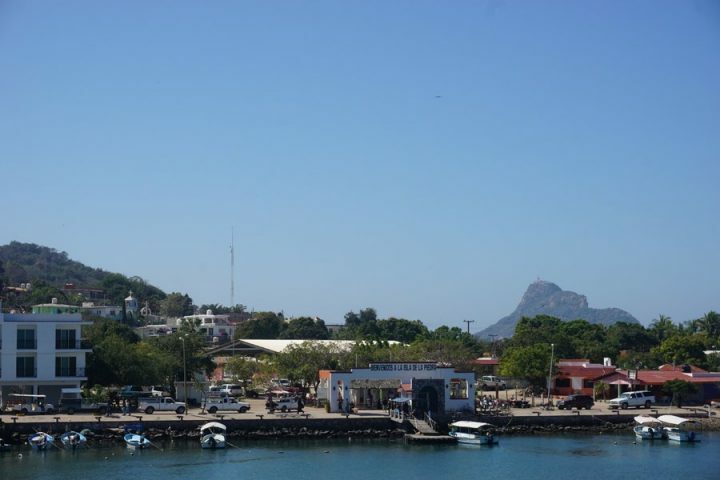 While Carnaval is definitely the wildest time of the year here, the party’s always going in this popular beach town. You can find bars and clubs of all shapes and sizes here. Whether you’re looking for a laidback dive bar or a bumping nightclub, you can find it here in Mazatlan. One of the quintessential places to party is Bora Bora, a massive club where dancing on the table is the norm. As you can see, Mazatlan offers far more than your average beach town. With its restored Old Town, oceanfront promenade, vibrant culture, and abundance of beaches, there’s enough to see and do here to keep you busy for a while. Who knows – you may end up loving Mazatlan so much that you decide to join the scores of expats who have chosen to call this coastal city home. The post 21 Cool Things To Do in Mazatlan appeared first on Goats On The Road.